A visionary has the power to forecast the future and a pioneer transforms this future into the present. Late Dasho Ugen Dorji was a visionary entrepreneur who co-founded Tai Industries Limited. 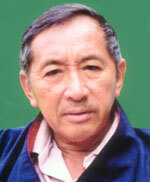 From large scale industries like Bhutan Ferro Alloys Ltd to domestic carpet units, fruit-processing hubs or tourism services, Dasho Ugen Dorji pioneered private sector business initiatives in Bhutan and brought about a socio-economic and financial revolution therein, earning dedicated trust and interest of the investors by paying them off in fat profits. A winner all the way, Dasho Ugen Dorji served as the Chairman of the Company till 1994 and thereafter as a Director till March 2005 till his demise.